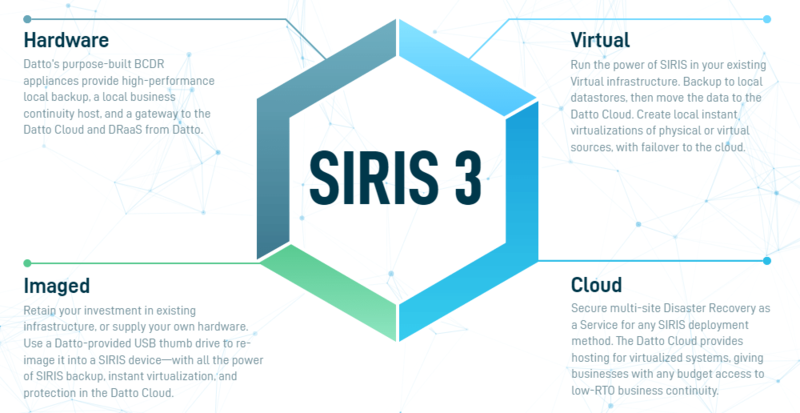 The Datto SIRIS 3 X1 provides the full feature set of the SIRIS 3 platform delivered as a small form-factor all-flashdevice. Intended as an entry level SIRIS deployment appliance, the X1 is licensed to protect a single server, comes with a 1TB solid state drive and 16GB of RAM and can perform local virtualization directly on the appliance. Instant Virtualization allows image-level backups of on-prem servers (physical and virtual) to be virtualized locally on the Datto appliance or in Datto’s secure cloud. Ten second launch times regardless of the recovery point selected. 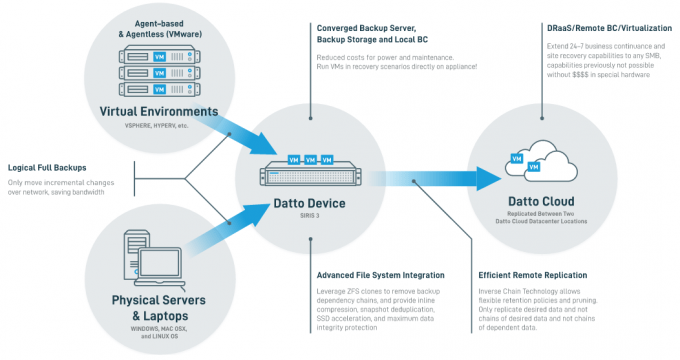 Backup Insights provides the capability to see what has been modified, created, or deleted between any two backups, and even instantly restore those files directly from the web interface.